The European League Against Rheumatism (EULAR) has released new guidelines for physical activity in the patients with inflammatory arthritis (iA; Rheumatoid Arthritis and Spondyloarthritis) and osteoarthritis (hip/knee OA). A task force consisting of Anne-Kathrin Rausch Osthoff, School of Health Professions, Institute of Physiotherapy, Zurich University of Applied Sciences, Winterthur, Switzerland, and colleagues, developed the guidelines based on the EULAR standardized operating procedures. 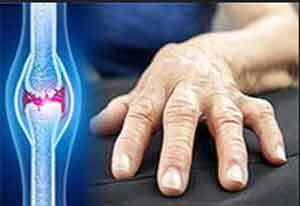 The recommendations are published in the Annals of the Rheumatic Diseases. Adults, 18 to 65 years of age should engage in either moderate-intensity aerobic physical activity (PA) for a minimum of 30 minutes 5 days a week or vigorous-intensity aerobic activity for a minimum of either 20 minutes on 3 days a week or a combination of both. This amount of moderate-intensity aerobic activity can be accumulated by doing bouts of exercise lasting at least 10 minutes each to reach the recommended total of 30 minutes a day. Anyone who wants to improve their level of fitness, reduce the risk for chronic disease and disabilities, or prevent unhealthy weight gain may exceed the minimum recommended PA levels. PA should be an integral part of standard care for people with rheumatoid arthritis, spondyloarthritis, and hip/knee osteoarthritis. The delivery of interventions should be performed by HCPs competent in the field of PA principles and rheumatic conditions. Interventions aimed at improving PA among patients with iA and OA should be undertaken by healthcare professionals who are competent in both the principles of PA, as well as rheumatic diseases. All healthcare professionals need to increase their promotion of PA for patients with iA and OA and, if necessary, collaborate with different professions to better meet these goals. Specific contraindications to PA, in contrast, do exist, and health care professionals need to follow general or national guidelines regarding any type of contraindication closely. Information about the benefits exercise can have on symptoms or on disease control should be shared with patients to encourage their participation in PA.
Healthcare professionals need to consider the ways in which patients may achieve recommended PA targets, including whether the intervention is “land-based” or “water-based,” “supervised” or “individualized. Patients may also be referred to recommended exercise programs for patients with arthritis.